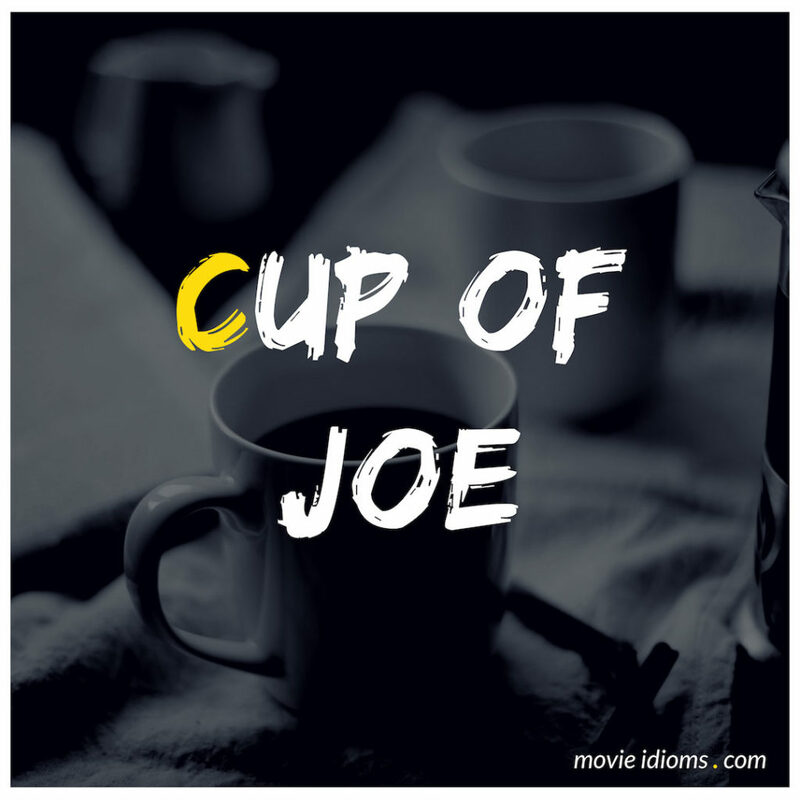 Walter S. Gordon Jr.: Cup of joe, Doc? Cpl. Eugene Roe: Gordon, I need scissors. You got scissors? Sharp scissors? Walter S. Gordon Jr.: Scissors? Sue Sylvester: This is not happening. The cruel slow-motion laughter is just your imagination. You’re Sue Sylvester, legend. They’re not laughing at you because your physical video. Just calmly pour yourself a cup of joe and focus. Wait, what’s that smell? Dear god, that’s coffee. It’s usually masked by the smell of fear. Sweet merciful Lord, this is happening! You’re being laughed at in slow motion by a roomful of inferiors whom you used to terrify. Casey Novak: You know, Jennifer’s hotel is in Midtown, right? Middle of the night, no traffic, Bayside diner’s a 15-minute trip from there. Detective Olivia Benson: Gives them more than two hours to kill Jennifer, dump her and the car. Detective Odafin ‘Fin’ Tutuola: Get to the diner, grab a cup of joe, report the Chevy stolen. Detective Elliot Stabler: Maybe it was stolen. Detective Odafin ‘Fin’ Tutuola: A ’71 Chevelle? At today’s gas prices?